The inscription reads: Tianhou shengmu (Holy Mother, Empress of the Heavan) and refers to the godess Mazu who was much worshipped by seamen in the region along the coasts of Fujian and Taiwan. 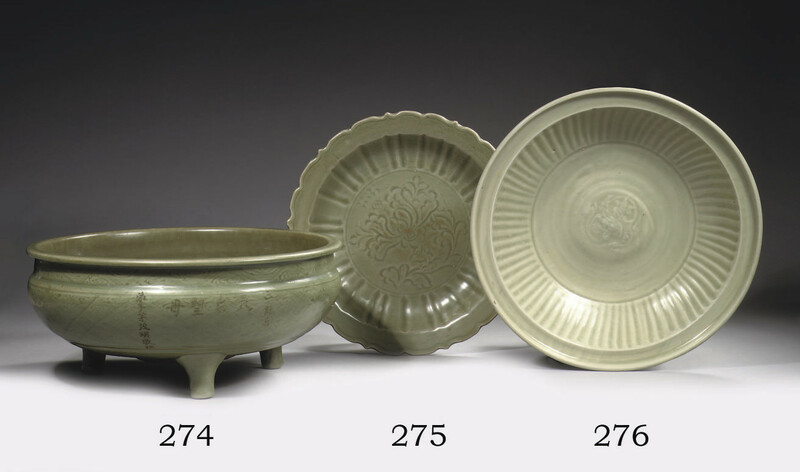 The emperor Qianlong gave the legendary Mazu the titel of Tianhou in 1737, which means that the inscription must have been incised after this date. To the right is inscribed Sanfeigong which refers to the temple where the three Godesses of the sea, mountains and rivers are worshipped. The remaining part of the inscription probably names the donor of the censer.